If you're anything like me, finding your vacuum's hose attachments can be a task in and of itself. Most of the time, it's easier to vacuum as close as possible to corners and tricky spaces rather than try and use the nozzles, brushes, and pointed pieces. Often, though, those hose attachments won't reach every possible spot due to their size or round shape. Enter toilet paper. 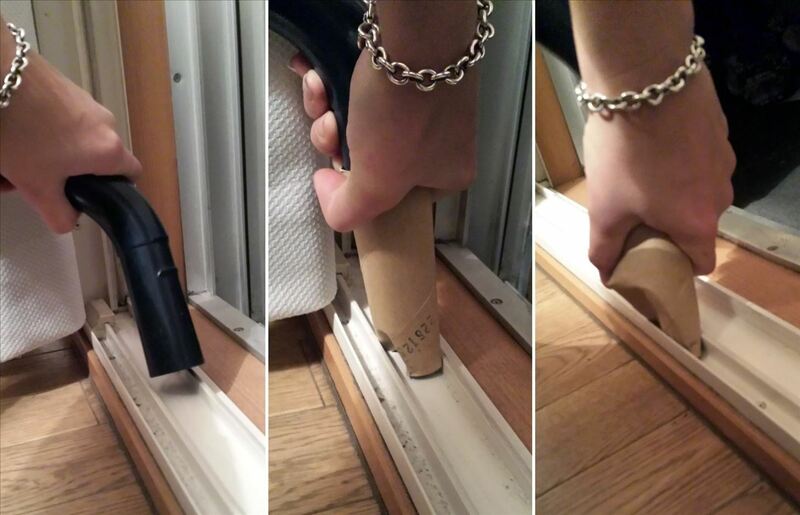 Those cardboard tubes that remain after all the TP is gone are perfect for vacuuming in tight spaces with your hose, as Redditor beeanchor13 found out. As you vacuum and try to clean tiny spaces like molding, window tracks, and any other tight spots, slip a toilet paper roll over the opening of your vacuum's hose. Old cardboard tubes have more uses than just cleaning. You can make holiday decorations with them, wall art, dioramas, phone amplifiers, seed starter kits, cable holders, plastic bag containers, and so much more. That's awsome! What a fantastic idea! I use the old empty toilet paper roll to use inside the new crushed toilet paper roll. I cut the old roll down the center, then clip the edges on a bevel to make sure it doesn't bind up on the roller sides. It takes less than 15 seconds before it's ready to insert into the new crushed roll. It makes a perfectly round hole inside the previously crushed new roll. It's good to somewhat straighten the new roll a bit, so the cut roll can fit into the crushed roll. It works like a charm.